If you already have a video that has gone viral, license it to the media. You can target news outlets, online websites and TV shows for a price. To help your video gain more visibility, post it on a portal that makes it easy for the media to scout. Jukin Media is a popular marketplace that the media frequently use. There are plenty of affiliate programs that let you make passive income. You can sign up with a popular affiliate program like Amazon’s Affiliate Network. Some programs give you unique discount codes you can offer customers. If customers use your code, you get a commission. These programs work well because there is no risk involved, and you have no money to lose. Create a link between your online and offline presence to resonate with your fans. If your merchandise is good enough, it can also make a great guerilla marketing tactic. Create shocking and eye-catching designs that make heads turn. When people are seen sporting your merchandise in public, it generates a buzz. Outlets like Shopify, Oberlo, CafePress, District-Lines and Fiverr print-per-order, so no funding is required. You only need to create merchandise when you receive an order from a viewer. Buying high-quality equipment, hiring actors and shelling out production costs for your YouTube channel may require you to invest in money. If you need financial assistance and have a bang on YouTube project idea to sell, you can ask your fans to fund you. Make an amazing trailer that shows what your channel is about. Kickstarter and Indiegogo are popular crowdfunding sites with flexible funding options. Set up streams to collect donations from your audience. This way you will not have to force them to pay and watch your videos. If viewers resonate with your content, they can support you on an ongoing basis. Some fan-funding platforms let you reward your loyal funders and engage with them. This encourages fans to donate more. Patreon is a platform that lets fans subscribe to channel for as little as a dollar a month. Wusk is another platform that lets you make a highly effective donation page. First, sign up as a YouTube Partner in your YouTube Creator Studio. Enable monetization of your channel and then create an Adsense account. Make sure your content complies with all youtube regulations or your ads will not be shown on these videos. 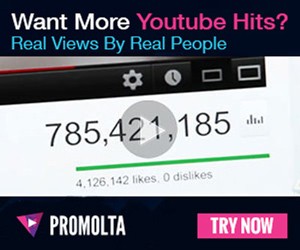 You only get paid when a viewer clicks on an ad shown on your channel. So your content has to be very niche and industry-specific for you to make lots of money. Become an influencer in your niche market and target brands in the same category. Use social media to leverage your online presence. Start by tagging brands and using branded hashtags in your social media posts to get noticed. Grapevine and Famebit are also ideal influencer marketplaces to get your channel discovered. There are ample tools and tactics available online that can give your YouTube channel the revenue it deserves. Find the tools that fit your goals best and combine multiple revenue streams to give you the most effective results.